Here is environmental/health issue that has to be address. WHAT IS MOUNTAINTOP-REMOVAL COAL MINES? 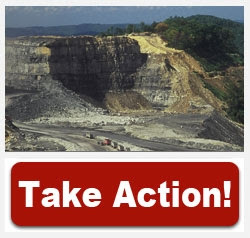 wrote to me asking for support to stop mountaintop-removal coal mines. Her worries and complain is valid.Well based. Sierra Club.org is charitable organization in good standing. It is an environmental watchdog for the community. Coal found crossing Appalachia from northern Alabama to northeastern Pennsylvania formed over 300 million years ago. In the United States the first coal mines appeared in 1750 in the Richmond field around the James River in Virginia. But on large scale in Appalachia around year 1870 with coming of the railroad. Acidic means with pH values of 5 or less. By the 1960s, acid polluted nearly six thousand miles of streams in Appalachia region.Coal mining was always dirty and almost from the start presented numerous problem like deforestation and loss of wildlife. It was always all around polluter on the ground scale. One more example -in year 1972 running slurry impoundments of coal waste mixed with water, rocks and mud in the valley of Buffalo Creek, West Virginia killed 125 people and destroyed 16 communities. The utpress.org (The Encyclopedia of Appalachia) called the system of "mountaintop removal, a newer and more destructive form of strip mining". In 2003 Federal agencies study concluded "Mountaintop mining operations in the Appalachian coalfields involve fundamental changes to the region’s landscape and terrestrial wildlife habitats. With the increasing size of these operations, a single permit may involve changing thousands of acres of hardwood forest into grassland." Over the years the legislature aiming to protect/restore land was implemented inconsistently. Moreover, under state law, stripping was allowed even without the consent of surface owners. known for underground explosions, because creates the largest amount of dangerous mixture of gases ( called firedamp ). the tops of mountains and then extracting the coal. Sound simply and cheap way to get fuel for nation's power plant. But this is the case of BIG BUSINESS AGAINST HEALTH OF RESIDENTS AND UNREPAIRABLE DAMAGE AND CHANGES TO ENVIRONMENT. deforestation,soil degradation, damage to vegetations, plant life and trees destruction of beautiful, rich forest, its wildlife habitat, animals and other usable land "nearly 1.4 million acres of mountaintops and forests by 2020. 4. burning coal contains powerful neurotoxin mercury - proven to cause brain damage, and specially dangerous to pregnant woman and young children. Coal-fired power plants releases over 33 tons of mercury in the US. However in 2011 ,thanks to President Obama administration and introducing new rules and safeguards,that emission is going to be reduced by whooping 90% . laws on how much carbon the dirty power plant is allowed to release in the air. 'shock' for well over two centuries. HOW CAN ONE GET 'USE TO' TO THE POVERTY! "A few years ago, Island Creek Coal Company opened a mountaintop-removal coal mine two miles from the house where I grew up and where my Mom and Dad still lived. Because of the danger, my parents had to leave their home so that they could have a reasonable life. My Mom never felt at home again. ..."
Please, imagine the seriousness of the situation. Moving is always a big change in ones life, and even more if it is forced... and on top of it , if it pertains to older people. This was a childhood home of Donna, who is now a grandmother herself. Think how many years that family lived in this place. Now in the old age, parents have to leave the place that they called home, that kept them together as family. They leaved behind the place where bond as family, days were shared and memories created. For older folks that is very hard. Moving means also changing the rhythm and routine of days. clean energy use for our environment. Sierra Club - The Beyond Coal campaign’s main objective is to replace dirty coal with clean energy by mobilizing grassroots activists in local communities to advocate for the retirement of old and outdated coal plants and to prevent new coal plants from being built. 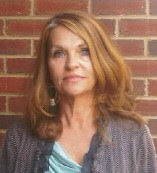 Take a look again at the photo of Mary Anne Hitt. This is portrait of environmentalist, activist, young mother that is concern with safe, healthy place to growth the children. ...Thanks for all you do to protect our environment!" moral support, by asking Environmental Protection Agency (EPA) Administrator Gina McCarthy to stop mountaintop-removal coal mines. Donna also would like us to spread the information around. That can be done, by either sharing this blog , her words, or maybe writing few of your own and repost. However that would not reach EPA Administrator Gina McCarthy. Therefore my suggestion is to use the link I left at the end of article. The suggested support that we can give to Sierra Club will take seconds to complete, but united and acting we can bring tremendous change to people's lives, climate and whole environment. Please, ACT. Thank you. you can click on 'Take Action' image below. Thank you to all legal owners of the images and quotations that I used in this article. Video, images (#2, #5, #7, #8, #9) in this article are property of Sierra Club . that states:"... the Sierra Club grants you a non- exclusive, nontransferable license to use." I do not hold right to any of the images. They are still remaining the property of of its respectful owners. I ask that they will be treated with utmost respect and consideration.